While many homeowners choose a GE refrigerator based on the brand's solid reputation, they may find issues arise with the appliance from time to time. The idea of repairing your refrigerator on your own may be initially intimidating but you can solve several common problems that affect a GE refrigerator without the assistance of a service technician. Remembering some basic tips as you troubleshoot your refrigerator's repair needs may make the task even more manageable. 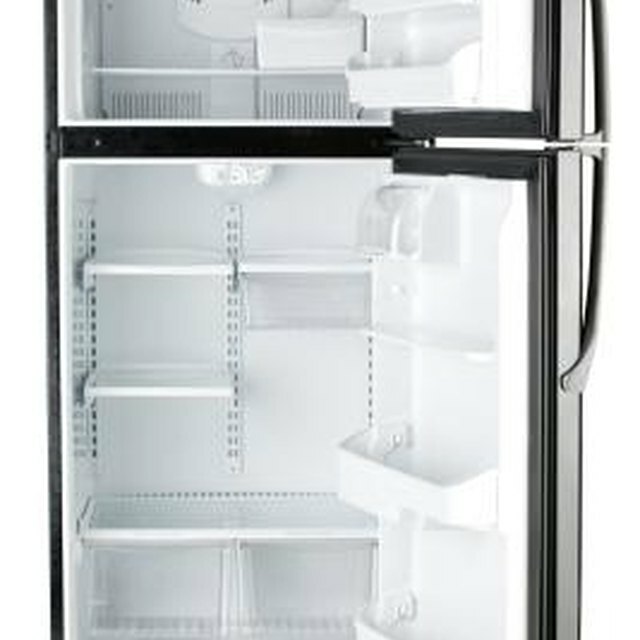 If your GE refrigerator's door does not close properly, check the gasket hinge. When a GE refrigerator does not run, there is likely an issue with its power supply. Check that the appliance is fully plugged into a grounded outlet. If the refrigerator is plugged into a working outlet but is still not operational, the household circuit breaker may have tripped or a fuse may have blown. Reset the circuit breaker or replace the fuse. Some GE refrigerators have a showroom mode to conserve energy. If you suspect that your appliance is showroom mode, simply unplug it and plug it back in again. GE refrigerators do not operate while they are in a defrost cycle, so wait approximately 30 minutes for the cycle to end and verify that the refrigerator is running. If you notice that your GE refrigerator's door is not closing properly, the door gasket hinge may be folding over the track or sticking. To remedy this problem, spread a thin layer of petroleum jelly on the face of the gasket to allow the gasket to slide more easily against the track. The doors of most GE refrigerator models are designed to close on their own. If you observe that the door is not, you may need to adjust the rollers located at the bottom of the refrigerator, first removing the base grill at the bottom front of the refrigerator. You must rotate the grill outward before it will slip out of place. Pull it away from the refrigerator and use a screwdriver to turn the roller's two front adjusting screws. Turn them clockwise to raise the refrigerator and counterclockwise to lower it. Return the grill to the original position and check to see if the door closes by itself again. If your GE refrigerator is equipped with water and ice dispensers that are not working, there may be a clog somewhere in the supply line or in the shutoff. Consult a licensed plumber to address this issue. For models with a water filtration system, check that the water filter is not clogged or improperly installed. You should replace a damaged or dirty filter, while you should remove an improperly installed filter and correctly install it. Make sure that it locks in place with the blade at the end of the cartridge in a vertical position. GE refrigerators are equipped with an interior light to illuminate the refrigerator compartment. If your refrigerator's light does not turn on when the door is opened, check to make sure that there is power to the appliance. A tripped circuit breaker or blown fuse will prevent the interior light from turning on when the door is opened. If the refrigerator has power, check the light bulb. Verify that it is securely in place and tighten it if loose. If the light still does not turn on you must replace it. The GE refrigerator uses standard appliance light bulbs which you can replace yourself but qualified service technician must replace LED lights.